You could spend the day in San Marcos, Texas, floating the river—which is what many people do on a trip to this scenic town. But while that may be one of the most popular outdoor activities in the region, it isn’t the only attraction you’ll find. San Marcos is filled with unique places to explore both on and off the water. Here are the top 10 can’t-miss outdoor experiences you should have on your radar next time you visit this charming part of the Texas Hill Country. Hundreds of springs from the Edwards Aquifer bubble up to form Spring Lake. What better way to see those springs up close than from the comfort of a Glass-Bottom Boat? Since 1945 the Glass-Bottom Boat tours have allowed visitors to look through a piece of plexiglass to see bubbling springs, swimming fish, snapping turtles and swaying fauna in the crystal clear water. It is just like snorkeling without getting wet. You might assume river water is too murky to snorkel. That’s not the case with the San Marcos River. Those hundreds of underground springs continuously pump out fresh water ensuring that the river always offers 30 feet of visibility. The year-round 72-degree-water makes it a comfortable option to enjoy the outdoors while beating the summer heat. The underwater landscape provides snorkelers a glimpse of sunfish, blue tilapia, crayfish, red-eared slider turtles and other marine creatures. It is no wonder hikers, bikers, trail runners, birders and plain-old-nature-lovers all flock to the Purgatory Creek Natural Area. The 463-acre parkland is full of meadows, strenuous trails, meandering trails, limestone bluffs cliffs, and dense juniper thickets. In other words, it has something for everyone. The Lower Purgatory trailhead is popular among serious mountain bikers and trail runners while the Upper Purgatory trailhead attracts birders and nature explorers. Explore what lies under San Marcos in a guided tour of the Balcones Fault Line Cave at Wonder World Park. There you will tour the nation’s only earthquake-formed cave. Typically, it is water slowly wearing away limestone that forms most caves in Texas. However, a slip along the Balcones Fault Line moved the rocks enough to create the Wonder Cave. Mark Bevans found the cave in 1896 while he was searching for water. It now is home to the oldest continuously running cave tours in Texas. Paddle SMTX started the country’s first glow-in-the-dark paddle boarding experience. Rent a board equipped with waterproof LED lighting, hit the San Marcos River after dark, and leave a trail of colors in your wake. The guided 90-minute tour is not only more fun in the dark, but you get a memorable view of San Marcos as well. 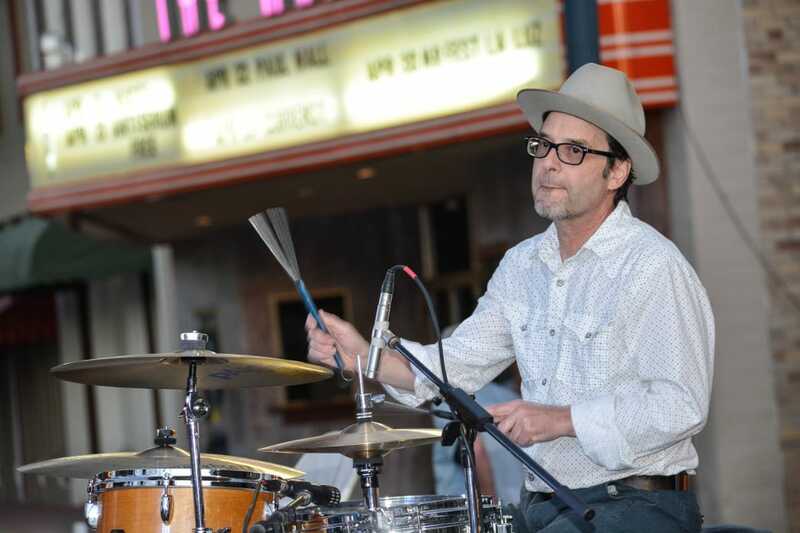 Every third Thursday of the month head downtown to walk around the square while enjoying live music, local artists, shopping and discounted refreshments. The KZSM radio station hosts the Kissing Alley Concert Series, an outdoor concert series where local bands perform in the alley from 6 p.m. to 9 p.m. Shop flash sales in the businesses along the square that stay open after hours, check out local art from sidewalk vendors or watch all the action from a restaurant patio. Rio Vista Park lies in the heart of San Marcos. The 13-acre park on the dam has multiple access points to the river making it a local hotspot to stop and take a dip in the 72-degree water on a hot summer day. A series of three artificial rapids with eight-foot drops makes for great body surfing. Central Texans know that when the temperatures heat up, the best relief is to grab a tube and float any nearby river with running water. The San Marcos River is an ideal river to float because the spring-fed river water continuously flows. San Marcos has two spots to begin your float, depending on what type of experience you want. The hour-long float starting at San Marcos City Park and ending at Rio Vista Park is a slow and steady ride, perfect for families with small children. For a longer, more action-packed float, head to Texas State Tubes for a three-hour float experience. If you want a more active way to view Spring Lake than the Glass-Bottomed Boats, try taking a kayak tour. You’ll get an up-close-and-personal look at the crystal-clear waters and learn about the surrounding plants and wildlife. The kayaks and instruction is provided by the REI Outdoor school, and full-moon and sunset kayak tours are available as well. 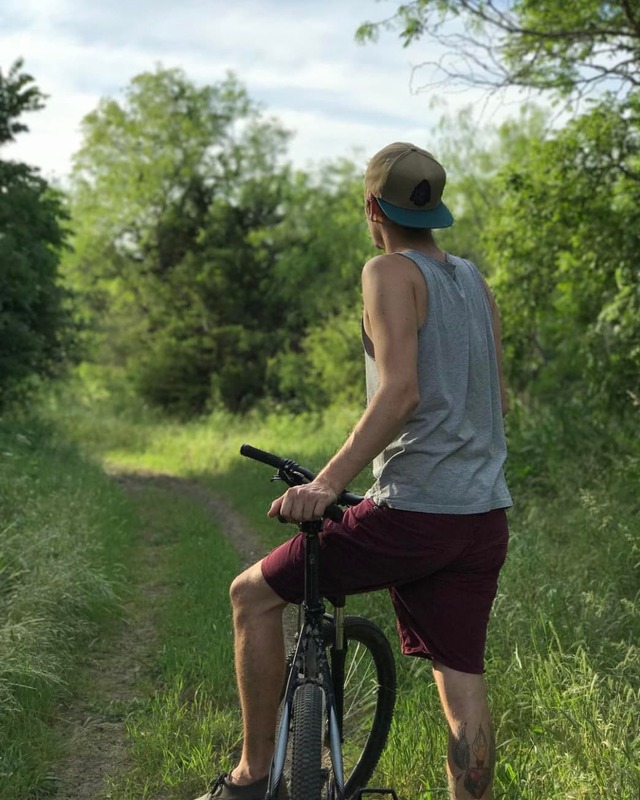 Mountain bikers have several options for riding off-road, including the Dante’s Trail in the Purgatory Creek Natural Area. A shorter option is Ringtail Ridge, a 40-plus acre park that features 2 miles of unmarked singletrack just off of Route 12. You’ll find oak groves, flowering meadows, and cactus stands along the trail, which is perfect for beginners.